WALL DIVING ON ST CROIX US VIRGIN ISLANDS Over 13,000 Feet Deep! St. Croix is home to the "Ultimate Wall". It runs all along St. Croix's northshore. It drops over 13,000' and is vertical in places. It's topped by the largest living reef of any Caribbean island. The moorings we use are all in 25' - 40' of water along the top of the wall so you don't have to be a "deep diver" to enjoy. However if you are into deep diving or would like to learn more about deep diving we are the dive shop for you. In the PADI Advanced certification program you'll dive a deep dive. And we also teach the PADI Deep Diver Specialty Course. 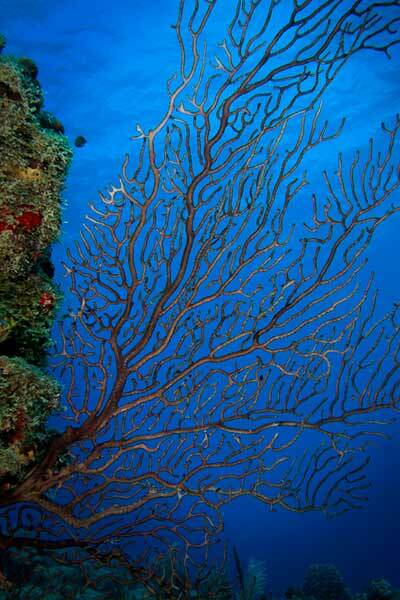 And as if that wasn't enough, we are also one of the Caribbean's first Tec Diving Centers. 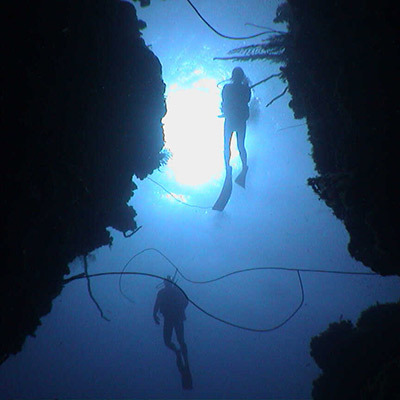 We teach a full range of Technical Diving courses such as Tec Deep, Trimix, and Rebreathers.